Running along the Schuylkill River Trail near the Fairmount Water Works. Registration is now open for the 2019 Love Run. The spring half marathon will take place Sunday, March 31. 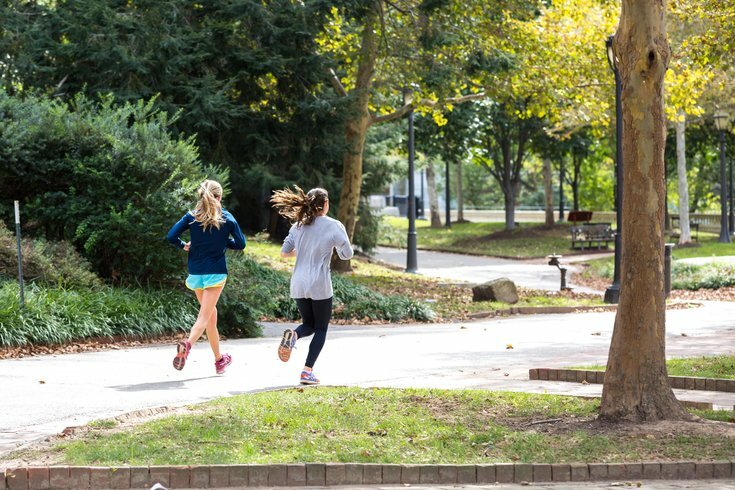 That gives runners almost four months to prepare for the race, which takes place in Center City and Fairmount Park. RELATED: Annual Rudolph Run in Manayunk is free, festive fun run | Is it OK to shop generic when it comes to prescription medicine? If you're not ready to tackle 13.1 miles, there is another option. The new 7K race – that's only 4.34 miles – starts at the same time as the half. Both races begin and end at the Philadelphia Museum of Art. All runners will receive a finishers medal, T-shirt, commemorative coffee mug and access to a finish line party. Through the end of December, early registration for the half is $89, and $50 for the 7K. The Love Run has partnered with the Legacy of Hope as the 2019 official charity partner.